Seneca Dairy Systems stocks a wide variety or Miraco Livestock Water Systems. Miraco systems are polyethylene construction and can stand up to years of use and abuse. Like our Stainless Steel Seneca Tip Tanks, Miraco waterers will resist corrosion. Whether you need water for 5 or 5,000 animals, we have an option for you! Miraco heaters have a 1 year warranty. They are constructed of teflon coated aluminum and feature an internal thermostat and high limit safety fuse. 521 High Pressure/Low Flow valve is for 2000 and 3000 series waterers. 336 Low Pressure/High Flow valve is for 6000 series waterers. 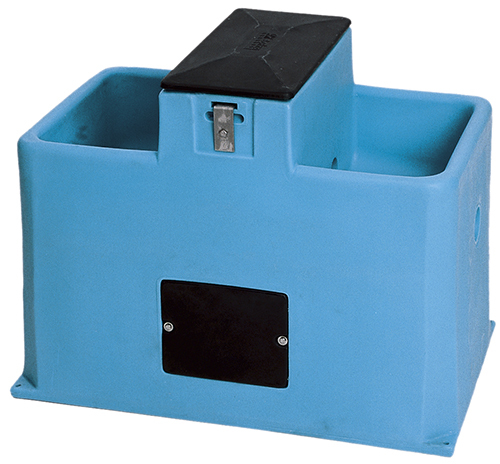 Seneca carries most of the more common replacement parts for the Miraco Water Systems we stock.